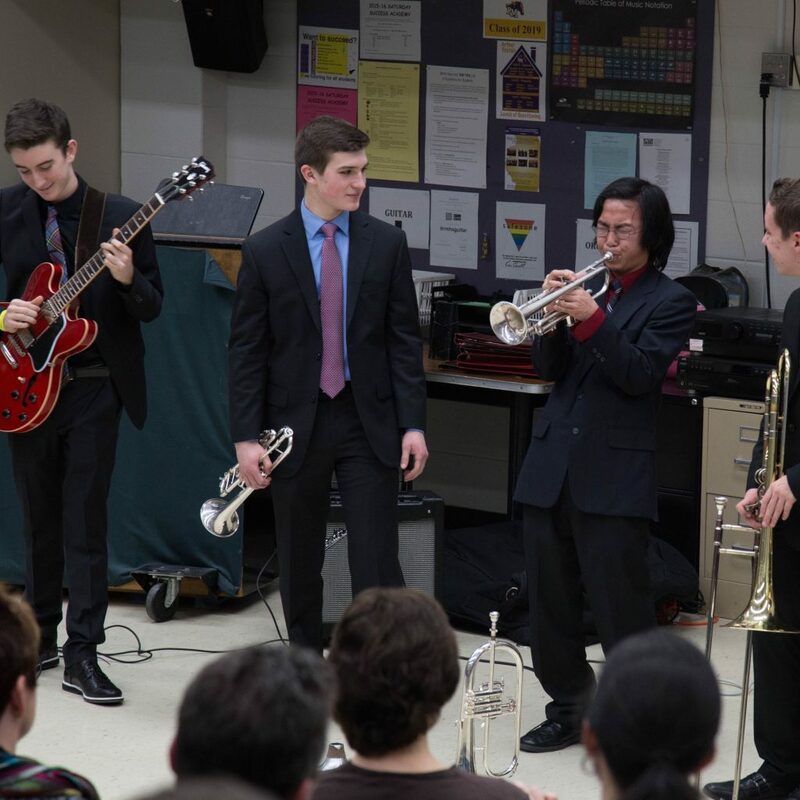 The Jazz Ensemble I allows students to explore the history and performance of jazz. They are a select, top performance group. To audition for Jazz Ensemble I, students must be a member of the Symphonic or Concert band (with the exception of guitarists). There are 5-6 performances for this ensemble during the school year, including two competitions that are the highlight of our school year: Jazz in the Meadows and the Purdue Jazz Festival. The Purdue Jazz Festival occurs in mid-January and includes an overnight stay, as well as costs paid by families (this was $175 in 2017). 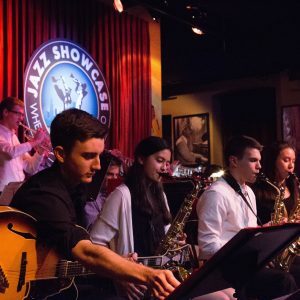 The Jazz Ensemble II provides students with the opportunity to perform jazz music and, if desired, work on improving their skills in order to eventually move to Jazz Ensemble I. To audition for Jazz Ensemble II, students must be a member of the Symphonic or Concert band (with the exception of guitarists). There are 5-6 performances for this ensemble during the school year, including two competitions that are the highlight of our school year: Jazz in the Meadows and the Purdue Jazz Festival. The Purdue Jazz Festival occurs in mid-January and includes an overnight stay, as well as costs paid by families (this was $175 in 2017).